I didn’t line these in pie crust (though you could) but rather just placed star-shaped “pie crust” on top! I put 2 on just to build the star up a bit (it’s yummy) but 1 is also fine. 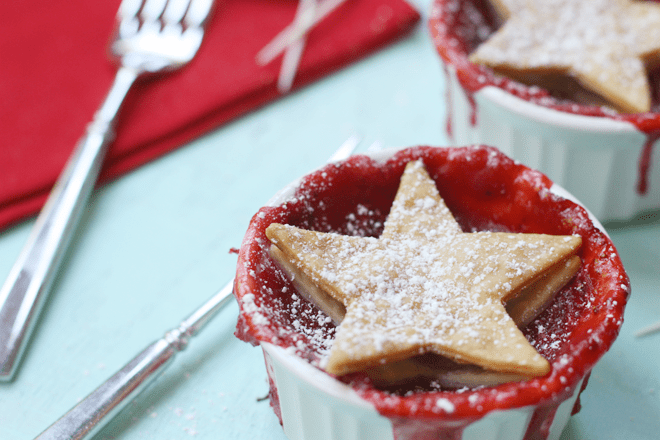 You could also make these in mini pie tins too (if you’re headed to a party, for example) or use ramekins like I did. You could even let kids cut out their initial or other shape from the pie crust. Chop up strawberries until diced. Toss strawberries with flour, sugar, corn starch, lemon juice, and salt. Fill ramekins with pie filling and bake at 375 for 15 minutes. 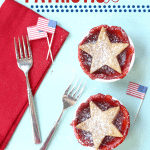 Thaw pie crust and cut out star shapes. 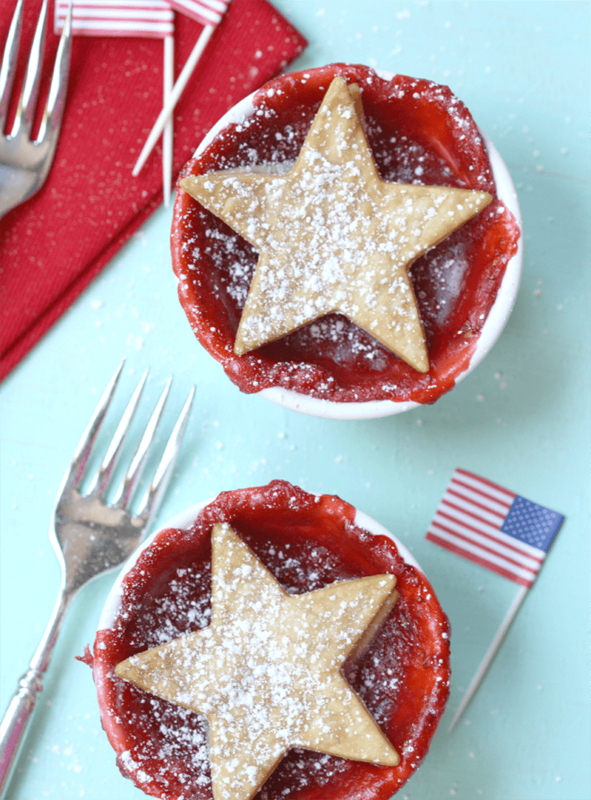 Remove ramekins from oven and add stars. Return to oven for 10-15 minutes or until stars are golden brown. 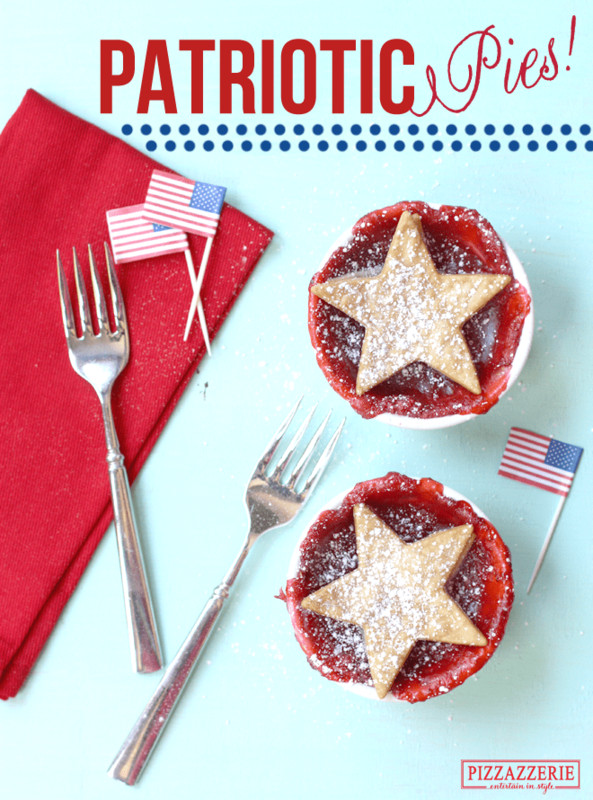 Find more patriotic ideas on Sulia like these pop-rocks rimmed drinks + party ideas! Summer Eats: Mini Grilled Pizzas!